Desai Accelerator, a joint venture between the University of Michigan’s Ross School of Business and the College of Engineering, welcomed six teams into its 2018 Summer Cohort and debuted an expanded intern program to support those startups in their development. 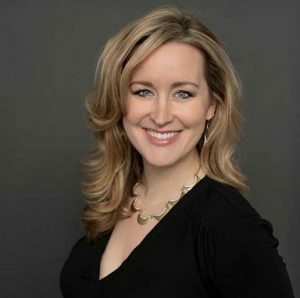 In this guest post, Angela Kujava shares how the accelerator is addressing gaps in Michigan’s entrepreneurial and investment community and introduces the innovative new startups that are joining the 2018 Summer Cohort. Elisabeth Michel of Canopy speaks at the 2018 Summer Cohort Kick Off Event! Data show a market bubble in angel and seed investing (VC) in the United States from 2012-2016. Beginning in 2014, the trend for both seed and Series A rounds has been fewer – but larger – deals (often considerably larger). Some argue that the shift is so dramatic that seed rounds “look a whole lot like Series A-sized investments.” It’s clear that today pre-seed and seed-stage startups face a both wider and deeper gap between raises than even a few years ago. As an organization dedicated to early-stage companies, we asked ourselves, “If and how we can impactfully respond to this sizeable market adjustment?” Knowing that we do not have the influence to reverse the current investment climate, we realized that we couldn’t narrow the gap, but we can arguably extend our considerable resources to make it shallower by providing additional support to our portfolio companies and other startups. We are now employing an “accelerator + post accelerator” model that explicitly focuses on helping drive companies to their first $1 million in annual revenue or funding. This spring we launched our first post-accelerator master class, targeting CEO development. Led by Ted Dacko, “Achieving Milestones that Matter” is designed to provide specific, individualized attention and group problem-solving to realize the successes that are critical to establishing a growth trajectory in Southeast Michigan. Program framework directly addresses common CEO issues, taking into consideration challenges unique to our region. The class was offered to CEOs that completed Desai Accelerator programming; the Ann Arbor SPARK acceleration program; and referred portfolio companies of Monroe-Brown Biomedical Seed Fund, First Capital Fund, and PSF 2.0. From March through June 14, CEOs attended and collaborated on shared experiences. 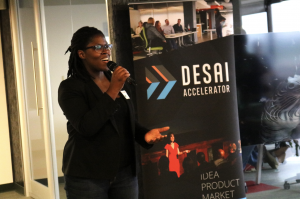 We expect to offer the program again after Desai’s summer accelerator cohort is complete. Speaking of the summer cohort, on June 12 we welcomed six new companies to the accelerator. We selected these companies from a competitive, diverse pool of technology-focused applicants from six countries and ten states: about 33% had female founders, 45% were from states other than Michigan, and 60% had founders not affiliated of the University of Michigan. Arbor Automation, an automated software service that improves manufacturing prototype hardware. Today, manufacturers spend countless hours reprogramming machine tools for new production runs. Arbor Automation reduces this turnover time to seconds by eliminating the need for manual programming, which decreases production costs, increases product throughput and prepares manufacturers for a future of fully automated machining. Canopy, a web application that helps families and individuals talk about and make end-of-life healthcare decisions and share those decisions with others through an advanced care directive. By supporting both individuals and healthcare systems through advance care planning services and legal documentation. Cheddur, a social network for the average person to find, learn about and get started with digital currencies and services in a fun and easy way. It’s also an advertising platform for coin and service developers to promote their projects, get discovered and build communities of users and investors. Jottful, a tech-enabled service that creates and maintains professional, affordable and hassle-free websites for small businesses. Jottful makes it possible for every small business to be found and to tell its story online. Mi Padrino, an online application that makes planning and paying for Hispanic events, such as quinceañeras, weddings and baptisms, easy and effective. Mi Padrino offers planning resources, personal event pages and crowdfunding features tailored to the Hispanic community—a population that has been underserved until now. Movatic, a software platform that makes mobility hardware shareable. On the Movatic app, users can find, rent and pay for different mobility services—and the app’s back-end allows for managing these services, pricing to be set, maintaining hardware, and supporting customers. For more information on the changes we’re making, or to be a part of our mission, please feel free to reach out to me.